Nothing in Sloane’s classes is as intriguing as Hank Springfield, Micah’s brother and fellow frat house member. Hank looks like a tough guy—big muscles, tatts, and a beard—but his eyes are soft and sweet. He acts dumb, but he’s a philosophy major. He’s presumably straight, but then why does Sloane feel such crazy chemistry whenever Hank is around? And why does Hank hate Sloane so much? 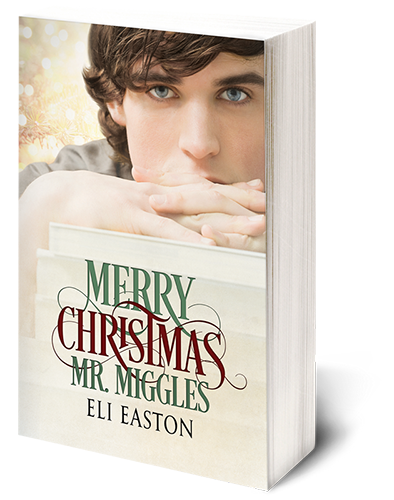 When Sloane ends up stuck on campus over Christmas, Micah invites him to spend the holidays at their family farm in Amish country. It’s a chance to experience a true Americana Christmas–and further investigate the mystery that is Hank Springfield. Can Sloane unlock the secrets of this family and unwrap the heart hidden inside the beefcake?